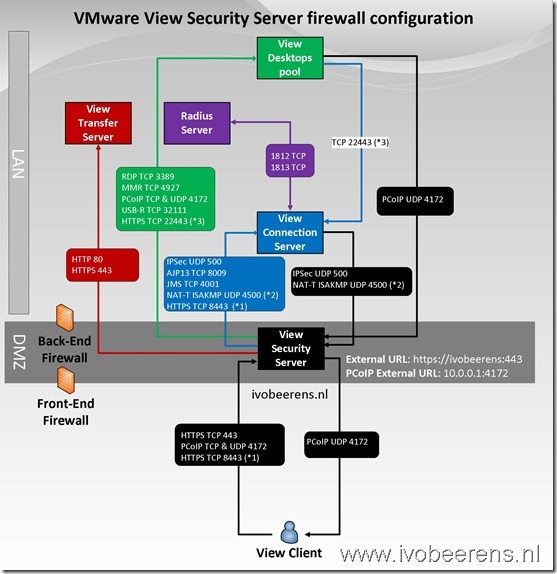 A security server is a special instance of View Connection Server that runs a subset of View Connection Server functions. You can use a security server to provide an additional layer of security between the internet and your internal network. A security server resides within a DMZ and acts as a proxy host for connections inside your trusted network. Create or obtain a signed certificate for the Security Server from a trusted Certificate Authority. More information about the certificate options can be found here. Back-end firewalls must be set up to support IPsec. 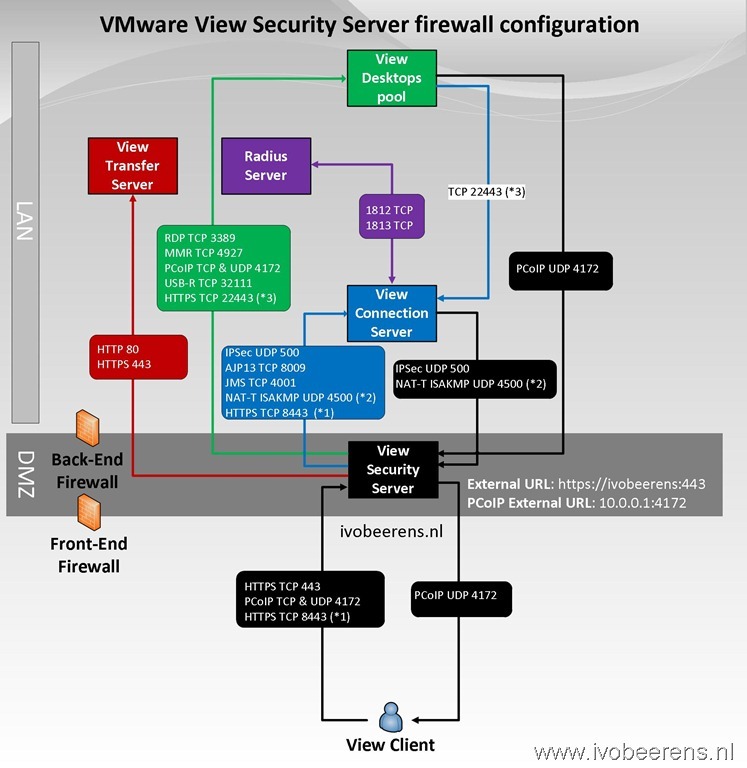 If you have a back-end firewall between security servers and View Connection Server instances, you must configure firewall rules to allow the connections to work. More information: See “Configuring a Back-End Firewall to Support IPsec ” in the View Installation guide. (*2) Enable this port for firewalls that use NAT. For non-NAT firewalls use the ESP protocol. (*3) Enable this port if you use VMware Horizon View HTML Access, security servers connect to View desktops on HTTPS port 22443 to communicate with the Blast agent. With regard to the BLAST protocol requirements. You show the Security server needs 8443 port opened to the paired connection server, however this is not mentioned in VMWare’s documentation ? I’m currently setting up HTML5 access externally and wanted to confirm this ? I know the Security saerver needs 22443 to the Desktop pool, but is 8443 to the connection server required ? 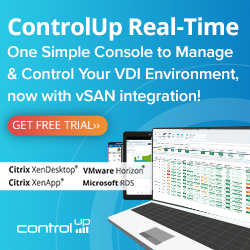 here is the vmware documentation http://pubs.vmware.com/view-52…….. I have a question regarding the View Security server. In my onfiguration, I only open the ports below : TCP 80, TCP 443 and TCP/UDP 4172.
there is not redirection port done by the router, so normally everything should be ok.
Do you thing that s why I cannot access via my horizon client to my horizon Virtual Machine ? Thanks for your answer 😀 !